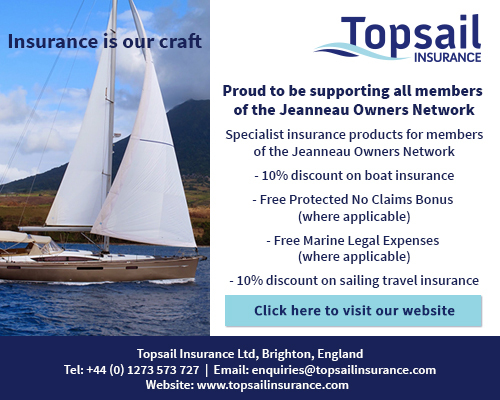 Topsail Insurance Limited have been partnered with Jeanneau Owners Network for several years and offer a very special deal for all our Jeanneau Owners and the Topsail team do know about boats (they have offices at both Brighton Marina UK as well as in Fremantle, Australia) and do not operate a call centre. The scheme provides not only a great permanent discount from leading insurance companies but in addition provides a free marine legal expenses policy plus free Protected No Claims Bonus, (once 20% has been achieved). You can apply for a quote online, but please use the link image below to ensure that you receive the discount offer. Our long term partners Topsail Insurance have just created a dedicated page for Jeanneau Owners seeking quotations for travel or yacht insurance in most parts of the World.